Supplemental Homeschool Programs That Make Teaching Easier - Look! We're Learning! When you’re teaching kids at home, it’s perfectly normal to start out full of enthusiasm…only for that initial excitement to fade and then drop off a cliff a few weeks later. So if you’ve been feeling like that, you’re not alone! We’ve been learning at home for the past nine years and I too have experienced that sharp drop-off in homeschooling enthusiasm. It wasn’t until the last couple of years that I realized – it was mostly my fault. It’s a big job to teach kids at home (and we have four – each at a different grade level), so by expecting myself to do ALL the educating, I was setting myself up for homeschool burnout. And it kept happening year after year after year. Then I caved and started looking into some online homeschool programs that would help to enrich our lessons and things got so much better! So, if you’re feeling stretched to the limit, take a look at these supplemental homeschool programs that make teaching easier! Disclosure: I was compensated for my time writing this article. All opinions are my own and I was not required to post a positive review. The Homeschool Buyers Co-op has an award-winning selection of all-inclusive homeschool curriculum, unit studies, supplements, and additional teaching resources. When you buy all-in-one or multi-subject resources from the co-op, you can save up to 93 percent! At the co-op, you can browse several different kinds of Multi-subject Homeschool Curriculum, including five supplemental homeschool programs that are a great choice for families that learn at home. 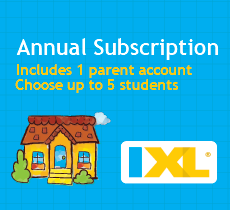 IXL We’re using IXL with our third-grader this year, so I’ll be sharing more about it in an upcoming post. This program includes practice in up to four subjects, such as math, language arts, science, and social studies. It’s available for grades K-12, so you can use it no matter what grade your child is in this year. Brain Pop Brain Pop has been a favorite of ours for years. My oldest daughter used the Junior version when she was in preschool and it was a big hit. 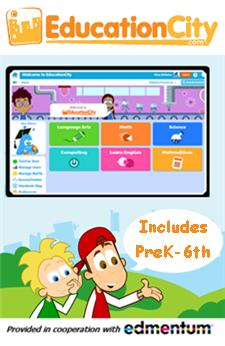 There are video cartoons for each lesson, multiple video lessons in each subject, printable activities to complete, and online quizzes and games that reinforce what kids learn. 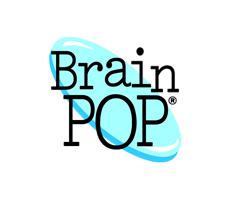 Brain Pop is available in four versions: Brain Pop Jr (for K-3), Brain Pop (for 3-12), Brain Pop Español + Francais (for native Spanish and French speakers), and Brain Pop ESL (for ESL learners). 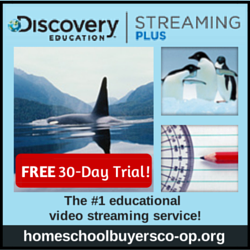 If you use videos and web clips in your homeschool, then Discovery Education is a must-buy. This program offers parents access to hundreds of thousands of educational videos and clips that kids will love, including nature programming, math tutorials, and even audiobooks. Plus, there are additional enrichment resources, such as quizzes, assignments, and lesson plans. Education City Education City, designed for grades PK-6, provides practice in language arts, math, science, and computing – as well as math for Spanish speakers and ESL lessons. But this is more than just an after-school practice program. Kids can also use it to take assessments and tests that will give parents a clearer idea of how their students are progressing. It’s a really useful way to find out what kids need to practice more and what they’ve already mastered. If you’re homeschooling from kindergarten through high school, then PLATO Learning is a program you’ll definitely want to consider. This comprehensive resource features subject lessons by grade levels (K-5, 5-8, and 9-12), so you can place your children in elementary, middle, or high school subjects as needed. Have an advanced high school learner? You can sign up for the AP course package to get your student ready for college! 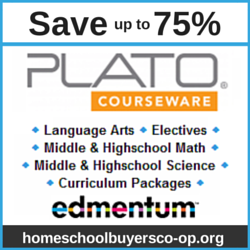 You can purchase PLATO Learning on an annual or month-to-month basis. So, how can you take advantage of these and other supplemental homeschool programs? 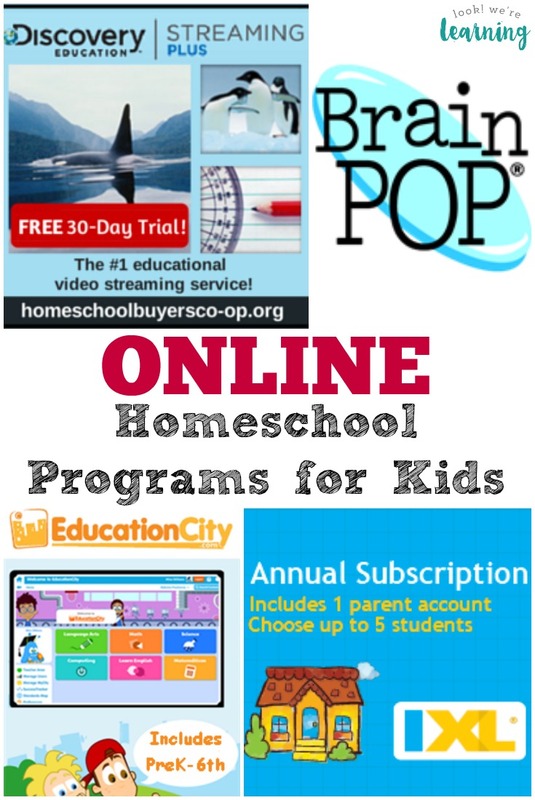 Take a look at all of the homeschool multi-subject curriculum programs available from the Homeschool Buyers’ Co-Op and then visit the program sign-up pages that interest you. The co-op operates on a group buy policy, which means that as more parents sign up, the price can get lower and lower. Since all of the programs have unique purchase policies, it’s essential to read the terms and conditions before you purchase. On a personal level, I will say that I have never been disappointed by a single purchase I’ve made from the Homeschool Buyers’ Co-op. Every single one has been a huge value to our homeschool. Every single one. Find out more about the all-in-one and online homeschool programs you can score today and start making your teaching experience much, much easier! Need to see more curriculum ideas for the new homeschool year? Check out my Homeschool Curriculum Choices board on Pinterest for inspiration!